Vole Office Ultimate 3.79 was available as a giveaway on September 9, 2018! How would you improve Vole Office Ultimate 3.79 ? 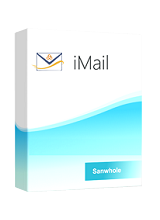 iMail is an email system dedicated to small business. It consists of an internal email system and an external email system. The internal mail system is similar to Microsoft Exchange, and the external mail system is similar to Exchange Online or Gmail. It is simple in structure, efficient, and almost free. Hi, thank you very much for your excellent suggestions. We have just released a new version (3.80.8092) of Vole Office. 1, Support multiple language (English, French, German, Russian, Spanish, Italian, Dutch, Polish, Japanese and Chinese. 30% translated). 2, Support open multiple document (Like IE can open multiple web page). 3, Open Vole Word and Vole Excel individually. The giveaway license from GOTD can be free updated to any 3.X version. So, you can safely update to 3.80 for free. Thank you for supporting our software. Hi, thank you very much for your excellent suggestions. We have just released a new version (3.80.8092) of Vole Office. The new release: 1, Support multiple language (English, French, German, Russian, Spanish, Italian, Dutch, Polish, Japanese and Chinese. 30% translated). 2, Support open multiple document (Like IE can open multiple web page). 3, Open Vole Word and Vole Excel individually. The giveaway license from GOTD can be free updated to any 3.X version. So, you can safely update to 3.80 for free. Thank you for supporting our software. have couple documents open, no window selection or visible tabs to switch between? after few days of trying, have discovered: NO picture tools. Able to insert a picture and did have resize handles, but unable to CROP or add outline border Search of Help "Crop Picture" on this was NO help. also must be online for help does NOT maintain position if leave window? Was going back to insert text from another program or picture. NO longer had | cursior in postion where was. Need to locate, or alt+End and click to get active Seems very slow. For example was 20.6 seconds before save as box opened (HP Win 10 home, AMD @ 1.50 Hz) have couple documents open, no window selection or visible tabs to switch between? 1 - All of the other Microsoft Office clone software mentioned works with DOC and DOCX files, as well as open-standards, so if Vole doesn't work with open standards, then Vole is the "less-than" software, strike one. 2 - As other have mentioned, there are many features Microsoft Office provides that Vole Office does not, for me, search-and-replace for formatting markers is critical, such as [ ^l ] line feeds and [ ^p ] paragraph markers, which Vole Office does NOT do ... strike two. 3 - Vole Office loads painfully slowly, definitely not a "light" [ sic ] or "lite" program ... strike three. Thank you for letting us beta test your software, you now have our feedback, I look forward to your revisions and a future offering for us to test and give you feedback.
. [ Norman Wong ], 1 - All of the other Microsoft Office clone software mentioned works with DOC and DOCX files, as well as open-standards, so if Vole doesn't work with open standards, then Vole is the "less-than" software, strike one. 2 - As other have mentioned, there are many features Microsoft Office provides that Vole Office does not, for me, search-and-replace for formatting markers is critical, such as [ ^l ] line feeds and [ ^p ] paragraph markers, which Vole Office does NOT do ... strike two. 3 - Vole Office loads painfully slowly, definitely not a "light" [ sic ] or "lite" program ... strike three. Thank you for letting us beta test your software, you now have our feedback, I look forward to your revisions and a future offering for us to test and give you feedback. .
Vole Office Word Save As supports docx, doc, odt (OpenDocument Text Document), xml, epub, rtf, txt, mht, htm and html file formats. 2 - Vole Office is "A light Microsoft Word and Excel editor". It is fully qualified for general Office tasks. But if you need more professional features like Schedule, Collaboration, VBA etc. You need Microsoft Office. And, not all of "All of the other Microsoft Office clone software" you mentioned, have the features you ask for. And most of those software don't have Schedule, Collaboration, and VBA, too. 3 - Vole Office loads Word and Excel at same time. Of course it is longer than opening a Word alone. Moreover, loading again is much faster. Open Word and Excel at the same time, which makes it easy for users to use both Word and Excel functions. Thank you for letting us know your "feedback". In fact, it is not a feedback. It is just a write-down comment. Because any fair feedback should include both Pros and Cons. But to date, what I saw in all your comments in this page, your "feedback" are just Cons. Peter Blaise, 1 - All of the other Microsoft Office clone software you mentioned have known compatibility issues. As I said “In short, if you submit a DOCX bid or tender file, you will not directly export the OTD or TMDX file to the DOCX file to submit it directly without checking it with Microsoft Word.” Vole Office Word Save As supports docx, doc, odt (OpenDocument Text Document), xml, epub, rtf, txt, mht, htm and html file formats. 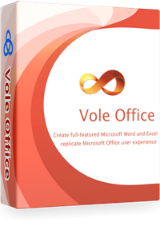 2 - Vole Office is "A light Microsoft Word and Excel editor". It is fully qualified for general Office tasks. But if you need more professional features like Schedule, Collaboration, VBA etc. You need Microsoft Office. And, not all of "All of the other Microsoft Office clone software" you mentioned, have the features you ask for. And most of those software don't have Schedule, Collaboration, and VBA, too. 3 - Vole Office loads Word and Excel at same time. Of course it is longer than opening a Word alone. Moreover, loading again is much faster. Open Word and Excel at the same time, which makes it easy for users to use both Word and Excel functions. Thank you for letting us know your "feedback". In fact, it is not a feedback. It is just a write-down comment. Because any fair feedback should include both Pros and Cons. But to date, what I saw in all your comments in this page, your "feedback" are just Cons. ... because, after all, automation is what computers are all about -- we do something ONCE, and the computer is supposed to be capable of doing that same thing automatically from the SECOND time on. ... all with intra-communications between these features so there's no need to cut-and-paste or export / import. FYI, unlike 34-year-old Lotus Symphony for DOS from 1984 ( ! ), I have no need or desire to load a word processor AND a spreadsheet at the same time for my "general office tasks", but thanks anyway. If I am your target, you missed ... and that's okay, not every program is perfectly targeted for every user. The general response that I expect to my feedback is for the vendor to say "thank you", address my issue, or not, and move on. Anything else from the vendor becomes an argument that is trying to nullify my experience as if the vendor can change my experience by arguing it away, which they cannot. -- it loads painfully slowly, so slowly that it interrupts my train of thought, such that I no longer remember the idea I had in my head that I intended to write down when I first initiated opening opening Vole Office Light.
. [ Norman Wong ], Thank you for your feedback. I look forward to giving you positive feedback ... ... whenever your next offering addresses my "general office tasks", namely -- search-and-replace for non-printing elements, -- fast loading. Other's "general office tasks" include email features as provided by Microsoft Outlook, ... and other features such as VBA to allow them to automate, ... because, after all, automation is what computers are all about -- we do something ONCE, and the computer is supposed to be capable of doing that same thing automatically from the SECOND time on. Other's "general office tasks" include -- track-changes, even for a single author, -- presentations, -- building and or using a database, -- financial management of transactions and invoices, ... all with intra-communications between these features so there's no need to cut-and-paste or export / import. FYI, unlike 34-year-old Lotus Symphony for DOS from 1984 ( ! ), I have no need or desire to load a word processor AND a spreadsheet at the same time for my "general office tasks", but thanks anyway. If I am your target, you missed ... and that's okay, not every program is perfectly targeted for every user. The general response that I expect to my feedback is for the vendor to say "thank you", address my issue, or not, and move on. Anything else from the vendor becomes an argument that is trying to nullify my experience as if the vendor can change my experience by arguing it away, which they cannot. My experience is: -- Vole Office Light cannot search-and-replace non-printing document elements such as line feeds and paragraph markers, -- it loads painfully slowly, so slowly that it interrupts my train of thought, such that I no longer remember the idea I had in my head that I intended to write down when I first initiated opening opening Vole Office Light. You're welcome. . There is no doubt that the only software that can satisfy your "general office tasks" is Microsoft Office. Because, even if your first request - Email, except for Microsoft Office, any other office software does not have this feature. The comment here, I think, is not only for the author to see, but more for sharing with others. People are more eager to learn valuable information, as I mentioned above, the advantages and disadvantages of the software. Instead of listing a complete features menu of top products in the market. In fact, everyone knows the most complete menu. However, people have to ask, do I really need those features? Do I have to pay for those features that I don't want? Is there a product that can basically meet my requirements, but the price is very favorable? If readers can solve these problems by looking at comments, I think that is a valuable comment. However, I have to say that if I am a reader, your comments will not solve the problem, at least not solve my problem. Peter Blaise, There is no doubt that the only software that can satisfy your "general office tasks" is Microsoft Office. Because, even if your first request - Email, except for Microsoft Office, any other office software does not have this feature. The comment here, I think, is not only for the author to see, but more for sharing with others. People are more eager to learn valuable information, as I mentioned above, the advantages and disadvantages of the software. Instead of listing a complete features menu of top products in the market. In fact, everyone knows the most complete menu. However, people have to ask, do I really need those features? Do I have to pay for those features that I don't want? Is there a product that can basically meet my requirements, but the price is very favorable? If readers can solve these problems by looking at comments, I think that is a valuable comment. However, I have to say that if I am a reader, your comments will not solve the problem, at least not solve my problem. Anyway, thank you for your comment. 2 - it loads distractingly slowly. FYI, other non-Microsoft Office clones do not have those two compromises. Also, Mozilla Thunderbird is a free email client, Microsoft products are NEVER needed. Your software, and our feedback, can only be useful to others if those others have a corresponding interest, and that is not up to us, that is beyond our control. All we can do is strive to make what we offer here as accurate and appropriate as we can make it. It looks to me as if Sanhole Vole decided what features of Microsoft Office are important to end users, and which are not, and for many end-user responders here, your guess is a mismatch for our preferences. ... so Sanhole Vole's combination of word processing and spreadsheet in one is not a new idea by any means. Everyone seems to be imitating someone, Sanhole Vole is immitating Microsoft, and Microsoft is imitating Lotus. Maybe Sanhole Vole Office Light's feature choices will find an appropriate matching audience outside GOTD's usual commenters. I wish Sanhole Vole great good luck.
. [ Norman Wong ], For me, Sanhole Vole Office Light's problem is twofold: 1 - it cannot search and replace non-printing characters like line feeds and paragraph markers, 2 - it loads distractingly slowly. FYI, other non-Microsoft Office clones do not have those two compromises. Also, they are free. Also, Mozilla Thunderbird is a free email client, Microsoft products are NEVER needed. Your software, and our feedback, can only be useful to others if those others have a corresponding interest, and that is not up to us, that is beyond our control. All we can do is strive to make what we offer here as accurate and appropriate as we can make it. It looks to me as if Sanhole Vole decided what features of Microsoft Office are important to end users, and which are not, and for many end-user responders here, your guess is a mismatch for our preferences. That's okay, not all software has to be aimed at us, we just happen to be ancient-techno-geeks here ... ... hence my reference to 34-year-old Lotus Symphony for DOS from 1984 that included word processing, spreadsheet, and communications all in one ... on diskette ! ( and probably loaded faster than Sanhole Vole Office Light ! ) ... if Symphony were released as a separate company from Lotus and their 1-2-3 spreadsheet, then Symphony would have been the #2 software company in the world at the time ... ... so Sanhole Vole's combination of word processing and spreadsheet in one is not a new idea by any means. Everyone seems to be imitating someone, Sanhole Vole is immitating Microsoft, and Microsoft is imitating Lotus. Maybe Sanhole Vole Office Light's feature choices will find an appropriate matching audience outside GOTD's usual commenters. I wish Sanhole Vole great good luck. .
Again and again, reader want to know the pros and cons. No just cons. Reader want to know - "advantage is what fold?” But so far, all your comments here are all cons. This can definitely misleading reader if I don't remind them. Did you do it on purpose? You finally admit that the two features you requested cannot be achieved by any other Office you mentioned. But you misled the reader, which is "general office tasks." In fact, there are more than two. In your new long list of requested features, I just chose the first one - Email feature, which is not available in any other Office too. Now you changed your mind to say that the Email feature is free, such as Mozilla Thunderbird. Is Mozilla Thunderbird related to "general office tasks" Office software? If I don't remind the reader, the reader will be misled by you, thinking that all other Office software has the Email function, and only the Vole Office does not. Are you doing the same thing as saying? So far, you have not only written write-down comment to our product, but also, as mentioned earlier, misled the reader many times. The truth is, not that we decided, but that we carefully selected. It is irresponsible to recommend 1000 books to readers. Carefully select 2~3 books mean that you really care about the reader. Sanwhole Vole Office creates full-featured Microsoft Word DOCX and Microsoft Excel XLSX documents and replicates latest Microsoft Office user experience. Does “34-year-old Lotus Symphony” can do it? We have definitely found most appropriate matching audience inside GOTD's usual commenters. Look at the results of the vote and you will know. And, except you and the other two crazy guys (They are close to being crazy, shout curses us from SOS to GOTD. It's weird, we give the reader the latest, highest Ultimate lifetime Vole Office software for free. And we haven't replied to their any posts. Why are they so crazy? ) write-down comments. The rest of the comments are either very satisfied with our products or consulted. If you can't see it, I can point them to you. Their comments are earlier than yours. And please double check the name, it is Sanwhole, not Sanhole If you are referring to us. I wish you a great good luck. Peter Blaise, 1, "problem is twofold ……” Again and again, reader want to know the pros and cons. No just cons. Reader want to know - "advantage is what fold?” But so far, all your comments here are all cons. This can definitely misleading reader if I don't remind them. Did you do it on purpose? 2, “FYI, other non-Microsoft Office clones do not have those two compromises. Also, they are free.” You finally admit that the two features you requested cannot be achieved by any other Office you mentioned. But you misled the reader, which is "general office tasks." In fact, there are more than two. In your new long list of requested features, I just chose the first one - Email feature, which is not available in any other Office too. Now you changed your mind to say that the Email feature is free, such as Mozilla Thunderbird. Is Mozilla Thunderbird related to "general office tasks" Office software? If I don't remind the reader, the reader will be misled by you, thinking that all other Office software has the Email function, and only the Vole Office does not. 3, “All we can do is strive to make what we offer here as accurate and appropriate as we can make it.……” Are you doing the same thing as saying? So far, you have not only written write-down comment to our product, but also, as mentioned earlier, misled the reader many times. 4, “It looks to me as if Sanwhole Vole decided what features of Microsoft Office are important to end users, and which are not,” The truth is, not that we decided, but that we carefully selected. It is irresponsible to recommend 1000 books to readers. Carefully select 2~3 books mean that you really care about the reader. 5, “... hence my reference to 34-year-old Lotus Symphony for DOS from 1984 that included word processing, spreadsheet and communications all in one ... and probably loaded faster than Sanwhole Vole Office Light !” Sanwhole Vole Office creates full-featured Microsoft Word DOCX and Microsoft Excel XLSX documents and replicates latest Microsoft Office user experience. Does “34-year-old Lotus Symphony” can do it? 6, “Maybe Sanwhole Vole Office Light's feature choices will find an appropriate matching audience outside GOTD's usual commenters.” We have definitely found most appropriate matching audience inside GOTD's usual commenters. Look at the results of the vote and you will know. And, except you and the other two crazy guys (They are close to being crazy, shout curses us from SOS to GOTD. It's weird, we give the reader the latest, highest Ultimate lifetime Vole Office software for free. And we haven't replied to their any posts. Why are they so crazy? ) write-down comments. The rest of the comments are either very satisfied with our products or consulted. If you can't see it, I can point them to you. Their comments are earlier than yours. And please double check the name, it is Sanwhole, not Sanhole If you are referring to us. I wish you a great good luck. Thanks for writing more -- I definitely understand the problem now. The problem is that you are misunderstanding what others have written here, believing our comments are attacks, and so you defend Sanwhole Vole. Our comments are feedback, so an appropriate response would be acknowledgement, a "thank you", that is all that is necessary ( and that respectfully keeps us as potential customers ). Again, arguing does not change our experience -- which for me is that Sanwhole Vole Office Light does not search and replace non-printing page elements like line feeds and paragraph markers, and Sanwhole Vole Office Light loads distractedly slowly ... and still does even after your arguments and defense: your arguments have not changed your software, nor have your arguments changed my experience of your software ( nor do your arguments encourage me to be a customer ). Repeat: thank you for letting us test your software, I look forward to subsequent versions that address what we perceive as deficiencies ( and no thank you for trying to argue away our perceptions of Sanwhole Vole Office Light's deficiencies of not meeting our own personal criteria as individually listed ). Email: No, email was never my criteria nor criticism of Sanwhole Vole Office Light, but merely an observation that email is definitely something everyone does, and something that Microsoft Office does but Sanwhole Vole Office Light does not. Other clones: I wrote that other Microsoft Office clones DON'T have the 2 compromised that Sanwhole Vole Office Light has for me -- that is, other Microsoft Office clones DO search and replace non-printing elements such as line feeds and paragraph markers, and other Microsoft Office clones DO load responsively. Two in one: I did NOT mention Lotus Symphony in response to your claims of file compatibility, I mentioned Lotus Symphony in response to your stated goal of combining word processing and spreadsheet in one -- Lotus Symphony did that 34 years ago ( and were imitated by Microsoft, who in turn are imitated by Sanwhole Vole ). Personal attacks: We do not know each other personally, so calling anyone "crazy" and "shout"-ing are inappropriate and cannot be accurate, move on and stay on point: improving your software and marketing. Positives: It is impossible for me to report on the benefits of Sanwhole Vole Office Light features that I did not try, because I exited immediately after verifying that Sanwhole Vole Office Light is inappropriate for my preferences ... in that it loads distractingly slowly, and it does not search and replace non-printing characters such as line feeds and paragraph markers. Marketing: I am not your marketing department, it is not my job to discover and extol the benefits of Sanwhole Vole Office Light's features and then look for appropriate customers for you. My experience: It is my job to report on my experience. Your job: Please relieve yourself of whatever obligation you feel to argue my experience into non existence, but please do enjoy the job of designing better and better software, more competitive software, software that satisfies more and more customers, including me.
. [ Norman Wong ], Thanks for writing more -- I definitely understand the problem now. The problem is that you are misunderstanding what others have written here, believing our comments are attacks, and so you defend Sanwhole Vole. Our comments are feedback, so an appropriate response would be acknowledgement, a "thank you", that is all that is necessary ( and that respectfully keeps us as potential customers ). Again, arguing does not change our experience -- which for me is that Sanwhole Vole Office Light does not search and replace non-printing page elements like line feeds and paragraph markers, and Sanwhole Vole Office Light loads distractedly slowly ... and still does even after your arguments and defense: your arguments have not changed your software, nor have your arguments changed my experience of your software ( nor do your arguments encourage me to be a customer ). Repeat: thank you for letting us test your software, I look forward to subsequent versions that address what we perceive as deficiencies ( and no thank you for trying to argue away our perceptions of Sanwhole Vole Office Light's deficiencies of not meeting our own personal criteria as individually listed ). __________ Clarifying what you misunderstood: Email: No, email was never my criteria nor criticism of Sanwhole Vole Office Light, but merely an observation that email is definitely something everyone does, and something that Microsoft Office does but Sanwhole Vole Office Light does not. Other clones: I wrote that other Microsoft Office clones DON'T have the 2 compromised that Sanwhole Vole Office Light has for me -- that is, other Microsoft Office clones DO search and replace non-printing elements such as line feeds and paragraph markers, and other Microsoft Office clones DO load responsively. Two in one: I did NOT mention Lotus Symphony in response to your claims of file compatibility, I mentioned Lotus Symphony in response to your stated goal of combining word processing and spreadsheet in one -- Lotus Symphony did that 34 years ago ( and were imitated by Microsoft, who in turn are imitated by Sanwhole Vole ). Personal attacks: We do not know each other personally, so calling anyone "crazy" and "shout"-ing are inappropriate and cannot be accurate, move on and stay on point: improving your software and marketing. Positives: It is impossible for me to report on the benefits of Sanwhole Vole Office Light features that I did not try, because I exited immediately after verifying that Sanwhole Vole Office Light is inappropriate for my preferences ... in that it loads distractingly slowly, and it does not search and replace non-printing characters such as line feeds and paragraph markers. Marketing: I am not your marketing department, it is not my job to discover and extol the benefits of Sanwhole Vole Office Light's features and then look for appropriate customers for you. My experience: It is my job to report on my experience. Your job: Please relieve yourself of whatever obligation you feel to argue my experience into non existence, but please do enjoy the job of designing better and better software, more competitive software, software that satisfies more and more customers, including me. Thank you. .
Other's "general office tasks" include email features as provided by Microsoft Outlook, ... "
Do it meet what you said "Email: No, email was never my criteria nor criticism of Sanwhole Vole Office Light"? 2, "Other clones: I wrote that other Microsoft Office clones DON'T have the 2 compromised that Sanwhole Vole Office Light has for me -- that is, other Microsoft Office clones DO search and replace non-printing elements such as line feeds and paragraph markers, and other Microsoft Office clones DO load responsively." "As other have mentioned, there are many features Microsoft Office provides that Vole Office does not, for me, search-and-replace for formatting markers is critical, such as [ ^l ] line feeds and [ ^p ] paragraph markers, which Vole Office does NOT do ... strike two." What other Office software support such as [ ^l ] line feeds and [ ^p ] paragraph markers? I've tested Microsoft Office Word 2013, it only supports [ ^p ] but doesn't support [ ^l ]. And SoftMaker 2018 (TextMaker), OpenOffice 4 and LibreOffice 6 don't support any of them. Please let me know which other Office software you mentioned support them? 3, "Positives: It is impossible for me to report on the benefits of Sanwhole Vole Office Light features that I did not try, because I exited immediately after verifying that Sanwhole Vole Office Light is inappropriate for my preferences ..."
Since you are not using our software at all, why do you write up to 23 imaginary "experience" here? Did I misunderstand you? Still, you mislead everyone. 4，“Personal attacks: We do not know each other personally, so calling anyone "crazy" and "shout"-ing are inappropriate and cannot be accurate, move on and stay on point: improving your software and marketing. Did I call you crazy and shout? No, I didn't. The people I accuse have no objection, what are you against? Do you understand the situation? Thank you for what your write. Peter Blaise, 1, Below is the original content about your email conditions, https://www.giveawayoftheday.com/vole-office-3-79-ultimate/#comment-599747 I just copy them here: "I look forward to giving you positive feedback ... ... whenever your next offering addresses my "general office tasks", namely -- search-and-replace for non-printing elements, -- fast loading. Other's "general office tasks" include email features as provided by Microsoft Outlook, ... " Do it meet what you said "Email: No, email was never my criteria nor criticism of Sanwhole Vole Office Light"? Did I misunderstand you? 2, "Other clones: I wrote that other Microsoft Office clones DON'T have the 2 compromised that Sanwhole Vole Office Light has for me -- that is, other Microsoft Office clones DO search and replace non-printing elements such as line feeds and paragraph markers, and other Microsoft Office clones DO load responsively." "As other have mentioned, there are many features Microsoft Office provides that Vole Office does not, for me, search-and-replace for formatting markers is critical, such as [ ^l ] line feeds and [ ^p ] paragraph markers, which Vole Office does NOT do ... strike two." What other Office software support such as [ ^l ] line feeds and [ ^p ] paragraph markers? I've tested Microsoft Office Word 2013, it only supports [ ^p ] but doesn't support [ ^l ]. And SoftMaker 2018 (TextMaker), OpenOffice 4 and LibreOffice 6 don't support any of them. Please let me know which other Office software you mentioned support them? 3, "Positives: It is impossible for me to report on the benefits of Sanwhole Vole Office Light features that I did not try, because I exited immediately after verifying that Sanwhole Vole Office Light is inappropriate for my preferences ..." Since you are not using our software at all, why do you write up to 23 imaginary "experience" here? Did I misunderstand you? Still, you mislead everyone. 4，“Personal attacks: We do not know each other personally, so calling anyone "crazy" and "shout"-ing are inappropriate and cannot be accurate, move on and stay on point: improving your software and marketing. ” Did I call you crazy and shout? No, I didn't. The people I accuse have no objection, what are you against? Do you understand the situation? Thank you for what your write. The more you write, the more I understand the communication problems here. 1 - When I wrote "... I desire ( 1 ) search-and-replace of non printing elements, and ( 2 ) responsive loading ...", and then when I wrote "... others want email ...", I was not saying that I want email as another of my own wants, I was saying that other people want email. Feedback: more people I know use word processing and email, few people I know use a spreadsheet at all ... Microsoft Office offers email, and yet Sanwhole Vole Office does not. 2 - In prior GOTD discussions, we discovered that Microsoft Office ( all versions ), free Kingsoft Office, and free Softmaker Office all support search-and-replace for non-printing characters ( and load more responsively than Sanwhole Vole Office, by the way ). 3 - I did use Sanwhole Vole Office, and I reported 2 experiences ( not 23 ), namely that ( 1 ) it loads distractingly slowly, and that ( 2 ) it does not offer search-and-replace for non-printing elements such as new line versus paragraphs. 4 - You assess others as crazy and shouting, which says more about you than them, and has nothing to do with successful software design, and everything to do with unsuccessful software marketing. Back at you, [ Norman Wong ], how has your contribution here improved Sanwhole Vole's software offering and customer satisfaction? Do you have a new version yet that ( 1 ) loads responsively and ( 2 ) searches-and-replaces non-printing elements ... and ( 3 ) addresses other people's desires, too?
. [ Norman Wong ], The more you write, the more I understand the communication problems here. 1 - When I wrote "... I desire ( 1 ) search-and-replace of non printing elements, and ( 2 ) responsive loading ...", and then when I wrote "... others want email ...", I was not saying that I want email as another of my own wants, I was saying that other people want email. Feedback: more people I know use word processing and email, few people I know use a spreadsheet at all ... Microsoft Office offers email, and yet Sanwhole Vole Office does not. 2 - In prior GOTD discussions, we discovered that Microsoft Office ( all versions ), free Kingsoft Office, and free Softmaker Office all support search-and-replace for non-printing characters ( and load more responsively than Sanwhole Vole Office, by the way ). 3 - I did use Sanwhole Vole Office, and I reported 2 experiences ( not 23 ), namely that ( 1 ) it loads distractingly slowly, and that ( 2 ) it does not offer search-and-replace for non-printing elements such as new line versus paragraphs. 4 - You assess others as crazy and shouting, which says more about you than them, and has nothing to do with successful software design, and everything to do with unsuccessful software marketing. Back at you, [ Norman Wong ], how has your contribution here improved Sanwhole Vole's software offering and customer satisfaction? Do you have a new version yet that ( 1 ) loads responsively and ( 2 ) searches-and-replaces non-printing elements ... and ( 3 ) addresses other people's desires, too? Thanks. . I have did not write "... 23 imaginary "experience[s]" ..." here, only 2 real experiences ( 1, Sanwhole Vole Office loads distractingly slowly, and 2, it does not offer to search-and-replace non-printing elements ). 7 questions, none of which were answered by you.
. [ Norman Wong ], I have did not write "... 23 imaginary "experience[s]" ..." here, only 2 real experiences ( 1, Sanwhole Vole Office loads distractingly slowly, and 2, it does not offer to search-and-replace non-printing elements ). But, motivated by your "23" comment, I just counted the "score" in the comments: 1 good report, 21 bad reports, 7 questions, none of which were answered by you. Balls in your court. .
Because of the already exposed design flaws and registration requirements I am not inclined to even try this at this time in this incarnation but I would like the developer to be more specific about what version of MS OFFICE does this user interface feel most like and what version of MS OFFICE features does it impliment. One unmentioned thing is this limited to sub 65536 rows and colums in Excel like the older versions of Excel or does it not have that restriction in the implimentation of XLSX file compatability? with 104 thumbs UP and 50 thumbs DOWN yet all the comments left are negative, is;t it about time that only people leaving comments can vote? That way, anyone giving the thumbs up to any software can explain why. (In an attempt to prevent fraudulent manipulation of the numbers. Its about time GOTD took note and addressed this issue as for now, at least, that system is totally futile and worthless. with 104 thumbs UP and 50 thumbs DOWN yet all the comments left are negative, is;t it about time that only people leaving comments can vote? That way, anyone giving the thumbs up to any software can explain why. (In an attempt to prevent fraudulent manipulation of the numbers. Its about time GOTD took note and addressed this issue as for now, at least, that system is totally futile and worthless. If you really want see, you can definitely find positive comments just in this page, and they are earlier than yours. It is easy to talk about shortcomings, and it is difficult to talk about advantages. This is a universal law. Because talking about the advantages will make others feel that the reviewers have benefited. Therefore, most people can only express their positive attitude through anonymous voting. This is like the election in the United States. Therefore, GOTD's Vote system and Comment system are normal. Terry I, If you really want see, you can definitely find positive comments just in this page, and they are earlier than yours. It is easy to talk about shortcomings, and it is difficult to talk about advantages. This is a universal law. Because talking about the advantages will make others feel that the reviewers have benefited. Therefore, most people can only express their positive attitude through anonymous voting. This is like the election in the United States. Therefore, GOTD's Vote system and Comment system are normal. YES, it is easy to talk about the shortcomings of Sanhole Vole Office Light, and it is difficult to talk about any advantages of Sanhole Vole Office Light. The advantages are ... less money. The disadvantages are ... less features. Versus the competition that offers more features for less money, some even free. Sanhole Vole has entered the most competitive arena in software -- "office" suites. EXPECT to be overwhelmed by the competition.
. [ Norman Wong ], YES, it is easy to talk about the shortcomings of Sanhole Vole Office Light, and it is difficult to talk about any advantages of Sanhole Vole Office Light. The advantages are ... less money. The disadvantages are ... less features. Versus the competition that offers more features for less money, some even free. Sanhole Vole has entered the most competitive arena in software -- "office" suites. EXPECT to be overwhelmed by the competition. Daily. . Anyway, you found one, that no one doesn't know. Peter Blaise, Anyway, you found one, that no one doesn't know. Well, installed it to try it out, was NOT impressed by it at all, especially the hoops you're required to jump through just to register it. Going to stick to what I have, SoftMaker FreeOffice 2018. Does everything this can do, and LOADS more, and without any hoop jumping. Also, must say, for the closest thing to MS Office, WPS Office is the best, and you can also get that as a free version. Is there a way of CLOSING the account you have to create, as already starting to get multiple e-mails once it's registered. Will not be recommending this one at all. If this is the Ultimate version, I dread to think what the basic one is, glorified version of Notepad? I have installed twice VoleOffice (on Windows 7 32 bit), after having disabled Avast, as recommended. The program appears to run well as long as Avast is turned off. However, as I turn on Avast, it kills Vole Office immediately. What do you suggest for a cure? Thanks. So do as "Peter Blaise" said here: https://www.giveawayoftheday.com/vole-office-3-79-ultimate/#comment-599428 - "However, if YOU own your computer, then fire AVAST." 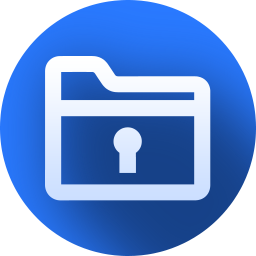 Salvatore, Softpedia 100% clean report is here: https://www.softpedia.com/get/Office-tools/Office-suites/Vole-Office.shtml#status VirusTotal 100% clean report is here: https://www.virustotal.com/#/file/e746896338e4037df9c0692e54a1702591df581ca6384bcb16fd3c27d3548375/detection Sanwhole clean claim is here: http://sanwhole.com/Products/FalsePositives So do as "Peter Blaise" said here: https://www.giveawayoftheday.com/vole-office-3-79-ultimate/#comment-599428 - "However, if YOU own your computer, then fire AVAST."
. [ Norman Wong ], You're welcome. .
and besides that...Libre Office does everything and doesn't cost a penny either...so why waste time? Won't bother even trying this one from the comments already posted. For a lighter program that does more than this and is always free... http://www.kingsoftstore.com/writer-free.html and besides that...Libre Office does everything and doesn't cost a penny either...so why waste time? Is WPS free? No, it isn't. How do you expect free version = paid version for a paid software? Does LibreOffice do everything? If the answer is yes. How Microsoft Office survive? Mothman, Is WPS free? No, it isn't. How do you expect free version = paid version for a paid software? Does LibreOffice do everything? If the answer is yes. How Microsoft Office survive? Microsoft is a convicted felon for illegal monopoly practices. How exactly does Sanhole Vole desire to immitate Microsoft, really? And, yes, Kingsoft products have free versions.
. [ Norman Wong ], Microsoft is a convicted felon for illegal monopoly practices. How exactly does Sanhole Vole desire to immitate Microsoft, really? __________ And, yes, Kingsoft products have free versions. . Does not send the email to get the program despite several attempts. ... enter that number on the sanhole Vole web page after signing in ( creating an account ), and asking to import a license. Then download the approved license text file to import into the software. It's not difficult, only unusual.
. [ Dyed ], ... enter that number on the sanhole Vole web page after signing in ( creating an account ), and asking to import a license. Then download the approved license text file to import into the software. It's not difficult, only unusual. . Elaborate installation procedure which is totally unecessary, but I persevered and installed it. When I tried it out and opened a Word document (.doc format) I discovered that I was unable to save or print it. The options were greyed out by default! In view of the other damning reviews I decided not to pratt about trying to get it to work. Libre Office is pretty good and free. Don't waste your time with this one unless you like a challenge.. Elaborate installation procedure which is totally unecessary, but I persevered and installed it. When I tried it out and opened a Word document (.doc format) I discovered that I was unable to save or print it. The options were greyed out by default! In view of the other damning reviews I decided not to pratt about trying to get it to work. Libre Office is pretty good and free. Don't waste your time with this one unless you like a challenge..
Free version has almost all the features, but doesn't have save, save as and print feature. Have you activated the software? Taffy, Free version has almost all the features, but doesn't have save, save as and print feature. Have you activated the software? A version of saving and printing software that has no features for saving or printing is not a free version, it's a broken version. Are you saying that Sanhole Vole does nto even have a trial version where someone can explore the features for a limited time? Even Microsoft has full features in their trial-period versions. Are you saying that Sanhole Vole is not compatible with or competitive to Microsoft's trial-period versions, either? When I test drive a $40,000 automobile, they do not take the engine out first. Apparently to test drive a $10 software, Sanhole Vole removes the save-and-print engines first. Do you really spell "Spell Check" as "Speell Check" on your website?!?
. [ Norman Wong ], A version of saving and printing software that has no features for saving or printing is not a free version, it's a broken version. Are you saying that Sanhole Vole does nto even have a trial version where someone can explore the features for a limited time? Even Microsoft has full features in their trial-period versions. Are you saying that Sanhole Vole is not compatible with or competitive to Microsoft's trial-period versions, either? When I test drive a $40,000 automobile, they do not take the engine out first. Apparently to test drive a $10 software, Sanhole Vole removes the save-and-print engines first. ... umm ... __________ Do you really spell "Spell Check" as "Speell Check" on your website?!? Documented here [ http :// oi68 . tinypic . com/4ggorp . jpg ] ... umm ... . The current Vole Office free version features is full functionality but not output. Of course, we can consider your suggestion - reduce functionality while allowing output. Our free version is lifetime, we don't have a trial-period version. Apparently, software is different from physical product. Freemium software is a common type. Have you seen a red underline under word 'Speell'? Why? Peter Blaise, The current Vole Office free version features is full functionality but not output. Of course, we can consider your suggestion - reduce functionality while allowing output. Our free version is lifetime, we don't have a trial-period version. Apparently, software is different from physical product. Freemium software is a common type. Have you seen a red underline under word 'Speell'? Why? Thank you for writing more and more, your writing helps me understand the problems with Sanwhole Vole and today's GOTD and this dialog thread. You wrote "... The current Vole Office free version features is full functionality but not output ..." ... yet, "not output" is the definition of NOT "full functionality" [ sic: functional capability ], perhaps you mean that the free version is not fully functional ... in that it has no save or print functions. You wrote "... your suggestion - reduce functionality while allowing output ..." was not my suggestion, I just observed that Microsoft Office is fully functional during an initial free trial period, and Sanwhole Vole Office has no competitive or compatible offering ... in that it has no save or print functions. Earlier, you wrote "... not that we decided, but that we carefully selected ..." ... "selecting" is a definition of "deciding", they are essentially the same thing. You ask "... a red underline under word 'Speell'? Why? ..." ... because Google Chrome, the world's most popular web browser, offers spell check and shows misspellings on web pages such as yours ... but do not worry, because I do not believe that misspellings indicate anything other than the never-ending need for editing and refinement ... I just found misspelling "Speell Check" particularly ironic and noteworthy. -- present ( print, publish, project ). So, no, Sanwhole Vole has no free version, even for a limited trial time ... in that it has no save or print functions. Regardless, at GOTD, we test fully functional versions and give feedback.
. [ Norman Wong ], Thank you for writing more and more, your writing helps me understand the problems with Sanwhole Vole and today's GOTD and this dialog thread. You wrote "... The current Vole Office free version features is full functionality but not output ..." ... yet, "not output" is the definition of NOT "full functionality" [ sic: functional capability ], perhaps you mean that the free version is not fully functional ... in that it has no save or print functions. You wrote "... your suggestion - reduce functionality while allowing output ..." was not my suggestion, I just observed that Microsoft Office is fully functional during an initial free trial period, and Sanwhole Vole Office has no competitive or compatible offering ... in that it has no save or print functions. Earlier, you wrote "... not that we decided, but that we carefully selected ..." ... "selecting" is a definition of "deciding", they are essentially the same thing. You ask "... a red underline under word 'Speell'? Why? ..." ... because Google Chrome, the world's most popular web browser, offers spell check and shows misspellings on web pages such as yours ... but do not worry, because I do not believe that misspellings indicate anything other than the never-ending need for editing and refinement ... I just found misspelling "Speell Check" particularly ironic and noteworthy. __________ FREE marketing advice: free software has the benefit of preventing sales by the competition ( note that Microsoft's in-built screen blanker killed Flying Toasters, and Microsoft "giving away" Word with every computer effectively killed WordPerfect ), so do not be afraid of giving away Sanwhole Vole Office, and as your FREE user base grows, you will have an audience for up-selling enhanced features and support -- but saving and printing are not enhanced features, they are two of the four essential basics of any software, namely all software must empower the user to: -- create -- save -- edit -- present ( print, publish, project ). THAT's full function. So, no, Sanwhole Vole has no free version, even for a limited trial time ... in that it has no save or print functions. Regardless, at GOTD, we test fully functional versions and give feedback. Done. . Does this program have the same macro capablities (VBA) as MS Office ? Without macros it is only half a product. Does this program have the same macro capablities (VBA) as MS Office ? Without macros it is only half a product. Why will someone A light Microsoft Word and Excel editor use that does not work better than many Free Office programs? This "software" is a piece of rubish, so don't waste your time downloading it. When trying to open a document ir freezes the PC forcing to reboot it. Does the 'Excel' feature emulate true Excel well enough for Quickbooks to see it and export to it? If the publisher is able to answer this question I might be interested... Does the 'Excel' feature emulate true Excel well enough for Quickbooks to see it and export to it? ... wait for Volebooks, a "light" version of Quickbooks?
. [ Shannon Marissa ], ... wait for Volebooks, a "light" version of Quickbooks? . It is rare for a publisher to respond to questions here and to be honest, I had forgotten that I had even asked. Of course I see that you responded 18 hours ago and I was just notified of your response so it probably would have not made any difference any ways since the offer would have expired already. The best alternative to PAID Microsoft Office is FREE Microsoft Office, though PAID older versions that work are cheap. Either way, ANY Microsoft Office that works on call from Intuit Quickbooks will do, so Microsoft Office 2003 and 2007 should be cheap to acquire new, or free to inherit from anyone who is upgrading ( if you chat with anyone who works in a professional office, their tech support people may have "retired" versions that will have no problem being installed with their given-licenses intact ) and there are VL volume licenses available such as those that came with Dell and HP pre-paid installations ( older versions that have retired ) or other resources, again any company's tech support can advise. Intuit is a monopoly ( though unprosecuted ), and therefore respects other monopolies, such as Microsoft ( prosecuted and convicted ), so Intuit will never release an Excel clone of their own -- monopolies hang together ( I wish "hang" were literal, Microsoft should have been broken up upon monopoly conviction, the OS separated from the application side ... oh well ).
. [ Shannon Marissa ], The best alternative to PAID Microsoft Office is FREE Microsoft Office, though PAID older versions that work are cheap. Either way, ANY Microsoft Office that works on call from Intuit Quickbooks will do, so Microsoft Office 2003 and 2007 should be cheap to acquire new, or free to inherit from anyone who is upgrading ( if you chat with anyone who works in a professional office, their tech support people may have "retired" versions that will have no problem being installed with their given-licenses intact ) and there are VL volume licenses available such as those that came with Dell and HP pre-paid installations ( older versions that have retired ) or other resources, again any company's tech support can advise. Intuit is a monopoly ( though unprosecuted ), and therefore respects other monopolies, such as Microsoft ( prosecuted and convicted ), so Intuit will never release an Excel clone of their own -- monopolies hang together ( I wish "hang" were literal, Microsoft should have been broken up upon monopoly conviction, the OS separated from the application side ... oh well ). You can manually export and import rather than have Quickbooks "call" Excel, then use any spreadsheet program of your choice -- even Vole Office Light ( what is it, a BULB?!? ) ! ( Still available free form [ SharewareOnSale . com ] if you want to test it. ) . This is also being offered on SOS since yesterday. Aside from the installation looking like it was coded in the 80s, I could not even get it to run after installation with error after error. This seems to be a very poorly designed software and I would suggest reading the comments and reviews there before even wasting your time with this. There are so many good free Office replacements like Ashampoo Office Free; WPS Office Free; Libre Office and more that you do not need to mess with this piece of garbage. Sorry, Sanwhole! This is also being offered on SOS since yesterday. Aside from the installation looking like it was coded in the 80s, I could not even get it to run after installation with error after error. This seems to be a very poorly designed software and I would suggest reading the comments and reviews there before even wasting your time with this. There are so many good free Office replacements like Ashampoo Office Free; WPS Office Free; Libre Office and more that you do not need to mess with this piece of garbage. Sorry, Sanwhole! Thanks anyway, GOTD. There are a variety of ways to change the program that is called by default when clicking on a file type, Windows 10 should offer your to [ [ x ] always use this program ] in the pop-up list where you selected Vole. You must have a VERY FAST computer if you made no objection to the wait time for Vole Office to load.
. [ Sim ], There are a variety of ways to change the program that is called by default when clicking on a file type, Windows 10 should offer your to [ [ x ] always use this program ] in the pop-up list where you selected Vole. You must have a VERY FAST computer if you made no objection to the wait time for Vole Office to load. .
"Because using real full name registration, others dare not use your license and you will not use others. This protects us and protects you, too. We will stop the piracy license even if it is yours." No computer user should be obliged to furnish crucial identity details to an unknown third party when such details have no bearing on the performance of a software product from that third party. Security breaches of global businesses are nowadays a fact of life. British Airways has just put thousands of its customers at risk because of hopelessly flawed IT whilst 143 million Americans had their birth dates, home addresses and Social Security numbers extracted from credit reporting agency Equifax's database. In the former case, customers had no choice but to provide personal details otherwise flight bookings could never have been made. In the latter, victims of the breach may never have been aware they were on the database of that dysfunctional company anyway. Sanhole is not providing flights nor compiling credit ratings. It merely sells software. I have no idea how sophisticated or robust its protections may be but if it seriously thinks the only way software piracy can be prevented is by harvesting real names linked to real PayPal accounts, then its understanding of IT is so obviously rudimentary as to discourage acquaintance with anything in its product range. Thanks GOTD, but in my own best interests, no thanks: this developer needs to think again. This may well be a competent program but prospective users / prospective customers should be aware of a particular of Sanhole's license terms: <i>"In order to prevent your licenses not to be terminated due to piracy, we require users to use real full name registration. The software will display the license owner full name on the top of the software, for example: “Hi Norman Wong!” "Because using real full name registration, others dare not use your license and you will not use others. This protects us and protects you, too. We will stop the piracy license even if it is yours. "</i> No computer user should be obliged to furnish crucial identity details to an unknown third party when such details have no bearing on the performance of a software product from that third party. Security breaches of global businesses are nowadays a fact of life. British Airways has just put thousands of its customers at risk because of hopelessly flawed IT whilst 143 million Americans had their birth dates, home addresses and Social Security numbers extracted from credit reporting agency Equifax's database. In the former case, customers had no choice but to provide personal details otherwise flight bookings could never have been made. In the latter, victims of the breach may never have been aware they were on the database of that dysfunctional company anyway. Sanhole is not providing flights nor compiling credit ratings. It merely sells software. I have no idea how sophisticated or robust its protections may be but if it seriously thinks the only way software piracy can be prevented is by harvesting real names linked to real PayPal accounts, then its understanding of IT is so obviously rudimentary as to discourage acquaintance with anything in its product range. Thanks GOTD, but in my own best interests, no thanks: this developer needs to think again. My Windows is licensed to real-name "Windows, Microsoft", Adobe Photoshop is registered to real-name "Photoshop, Adobe Systems", and so on. NEVER TELL AN PUBLIC-INTERNET-CONNECTED COMPUTER ANYTHING PERSONAL. That saves worrying about cracking invasion, and no need to "clean" the computer before charity donation.
. [ MikeR ], My Windows is licensed to real-name "Windows, Microsoft", Adobe Photoshop is registered to real-name "Photoshop, Adobe Systems", and so on. NEVER TELL AN PUBLIC-INTERNET-CONNECTED COMPUTER ANYTHING PERSONAL. That saves worrying about cracking invasion, and no need to "clean" the computer before charity donation. . I agree with you but just for the record, when I tried this yesterday from SOS, I just put "X" in the name field and it took. Apparently, they cannot even code their field requirements properly. I promptly uninstalled it shortly afterwards realizing it was trash. MikeR, I agree with you but just for the record, when I tried this yesterday from SOS, I just put "X" in the name field and it took. Apparently, they cannot even code their field requirements properly. I promptly uninstalled it shortly afterwards realizing it was trash. MikeR, Just use fake name lol. It's not like they need to check your ID or anything. Besides that kind of EULA is plain stupid. That won't stop piracy, pirates just won't care if the license is registered to whoever it is. MikeR, Just use fake name lol. It's not like they need to check your ID or anything. Besides that kind of EULA is plain stupid. That won't stop piracy, pirates just won't care if the license is registered to whoever it is. Everything has two aspects. For example, On the one hand, you don't want to tell anyone about your personal information, even if your name is fake, so that you feel safe. But is it really safe? Not necessarily. Because, on the other hand, when you ask for help, you regret that others don't know you. Therefore, you don't have to tell others that they should or should not keep their personal information. This should be decided by them. MikeR, Everything has two aspects. For example, On the one hand, you don't want to tell anyone about your personal information, even if your name is fake, so that you feel safe. But is it really safe? Not necessarily. Because, on the other hand, when you ask for help, you regret that others don't know you. Therefore, you don't have to tell others that they should or should not keep their personal information. This should be decided by them. Norman Wong, that's nonsense. There are other ways to tell that I am your customer despite I'm not using my real name. Ever heard of invoices? Payment ID? That's how you should identify me when I'm requesting for support. This is not a million business deal, so my personal information does not matter to you. Does your invoice contain your personal information, does your personal information in PaymentID? If not, is the invoice yours, and is the Payment ID yours? Have you heard of the report loss? Do you think that you can get illegal income by taking someone else's invoice and stealing someone's Payment ID? Do you think that you are registering a fake user on a Facebook, can you get it back again via your fake name once you are stopped? In order to protect the interests of users, we require users to register with their real names. Of course, if you don't need it, we will not force it. VTC, Does your invoice contain your personal information, does your personal information in PaymentID? If not, is the invoice yours, and is the Payment ID yours? Have you heard of the report loss? Do you think that you can get illegal income by taking someone else's invoice and stealing someone's Payment ID? Do you think that you are registering a fake user on a Facebook, can you get it back again via your fake name once you are stopped? In order to protect the interests of users, we require users to register with their real names. Of course, if you don't need it, we will not force it. It's a " Microsoft Word and Excel editor". It likely does not work with any programs that are not Microsoft Word and Excel. Jan Van Looveren, It's a " Microsoft Word and Excel editor". It likely does not work with any programs that are not Microsoft Word and Excel. rww, does Sanwhole have a commercial competition with Microsoft Office versus a Light Microsoft Word and Excel editor that only costs $ 10? What does Sanwhole want to achieve with this? Conquer the Word Processors market? Sanwhole Vole Office does not work WITH Microsoft Word and Excel, it offers to supplant / replace Microsoft Word and Excel. Since Microsoft Word and Excel work WITH Access, it makes sense that anything that offers to supplant / replace Word and Excel should equally work WITH Access ( and Outlook, Quicken / Quickbooks, and other programs that auto-link / import / export to a live Word and Excel ). There has been no response from Sanwhole Vole Office regarding this or other questions of function.
. [ rww ], Sanwhole Vole Office does not work WITH Microsoft Word and Excel, it offers to supplant / replace Microsoft Word and Excel. Since Microsoft Word and Excel work WITH Access, it makes sense that anything that offers to supplant / replace Word and Excel should equally work WITH Access ( and Outlook, Quicken / Quickbooks, and other programs that auto-link / import / export to a live Word and Excel ). There has been no response from Sanwhole Vole Office regarding this or other questions of function. .
How does this relate to free software like LibreOffice? Harvey Macken, I'm not sure about this product but most of the office suites that I've seen, allow you to fine tune that to your preferred distance. Vole Office? I prefer Hamster Office. Also, Prairie Dog Office is pretty good.
. [ Prairie Dog ], Prairie Dog Office seems to have an issue with my mouse ... .
Prairie Dog, anyone tried meerkat office? Because the avast deleted this program installed. I can't use this program.... Why? Because the avast deleted this program installed. If AVAST owns your computer, then comply. However, if YOU own your computer, then fire AVAST.
. [ Lietz ], If AVAST owns your computer, then comply. However, if YOU own your computer, then fire AVAST. Are YOU da boss? . ... hence describing it as a "light" version ( as in taking light-years to load ), not a "lite" version ( as in less-heavy, loads quickly ).
. [ wosa ], ... hence describing it as a "light" version ( as in taking light-years to load ), not a "lite" version ( as in less-heavy, loads quickly ). . Conclusion: I'd rather use the program "SoftMaker Office Standard 2012" (though incomplete compatibility with Exsel). 1. Heavyweight program 2. You do things in the program, and when you click on x, the program silently closes Conclusion: I'd rather use the program "SoftMaker Office Standard 2012" (though incomplete compatibility with Exsel). This shortcoming will be improved quickly, but it is not enough to turn you into a software that is not compatible with Microsoft Excel at all. Ivan, This shortcoming will be improved quickly, but it is not enough to turn you into a software that is not compatible with Microsoft Excel at all. Ivan, SoftMaker FREE Office 2016 and 2018 is there too. Norman Wong, The shortcomings may be improved upon, but will do nothing for today's GOTD folk who download/install this program. Remember, there is no free updates allowed with it. So all the shortcomings folks will be stuck with. Norman Wong, The shortcomings may be improved upon, but will do nothing for today's GOTD folk who download/install this program. Remember, there is no free updates allowed with it. So all the shortcomings folks will be stuck with. Norman Wong, I beg to differ... the chance of an inintantional click through to a windows X control with multiple layered windows that would cause editied document to be completely lost without any are you sure prompt is a massive deal breaker fault even if it was otherwise 100% compatible with Excel or Word (version not specified). Heres a different way of looking at it: An important feature of the MS Office programs is to not let you close an edited document without additional explicit user consent. In fact it is a feature that has survived through ALL the incarnations and moodswings of Microsoft Office designers because it is SO IMPORTANT! It is so important to editing and creating and inputting data that MOST programs that edit or create anything also impliment that safety net. Norman Wong, I beg to differ... the chance of an inintantional click through to a windows X control with multiple layered windows that would cause editied document to be completely lost without any are you sure prompt is a massive deal breaker fault even if it was otherwise 100% compatible with Excel or Word (version not specified). Heres a different way of looking at it: An important feature of the MS Office programs is to not let you close an edited document without additional explicit user consent. In fact it is a feature that has survived through ALL the incarnations and moodswings of Microsoft Office designers because it is SO IMPORTANT! It is so important to editing and creating and inputting data that MOST programs that edit or create anything also impliment that safety net. To date, any software products we offer are free to update (small version number). For example, this software update to any 3.X version is free. DJ, To date, any software products we offer are free to update (small version number). For example, this software update to any 3.X version is free. Norman Wong, I will believe it when I see it as most other products offered here, been told allowed free updates similar to your saying, I have tried to allow the update, and it cripples the licence. That and the update number is at your discretion, so only short number updates are allowed but what if a major revision? By you own words, does that mean that subscribers would have to pay for a major revision, ie version 4.015? Norman Wong, I will believe it when I see it as most other products offered here, been told allowed free updates similar to your saying, I have tried to allow the update, and it cripples the licence. That and the update number is at your discretion, so only short number updates are allowed but what if a major revision? By you own words, does that mean that subscribers would have to pay for a major revision, ie version 4.015? Again, "This software update to any 3.X version is free." What else do you expect us to offer? DJ, Again, "This software update to any 3.X version is free." What else do you expect us to offer? v3.x --> v4.x = upgrade, usually incorporating new features, additional cost. v3.x --> v3.y = upgrade, additional cost. It's all whimsical, there is no industry standard. Sven Abels of AbelsSoft seems to be reverting to dates rather than version numbers.
. [ DJ ], Vendors vary, but nomenclature wise, [ update ] versus [ upgrade ]: v3.x --> v3.y = update, usually considered free patches and fixes, no charge, v3.x --> v4.x = upgrade, usually incorporating new features, additional cost. I note that Jeremy Collake at Bitsum / Process Lasso is almost alone in considering: v3.x.y -- > v3.x.z = update, no charge v3.x --> v3.y = upgrade, additional cost. It's all whimsical, there is no industry standard. Sven Abels of AbelsSoft seems to be reverting to dates rather than version numbers. See [ https://en.m.wikipedia.org/wiki/Software_versioning ] for further discussion, including: ... schemes impart meaning on individual sequences: major . minor [ . build [ . revision ] ] major . minor [ . maintenance [ . build ] ] . I notice that their iMail is `almost free'! This too?